It is very popular solution used by Outlook users globally during Exchange Server downtime to maintain stability in adverse situation, user can easily restore OST file and convert unreadable OST file into Office 365, Outlook PST, HTML, EML or MSG file format. 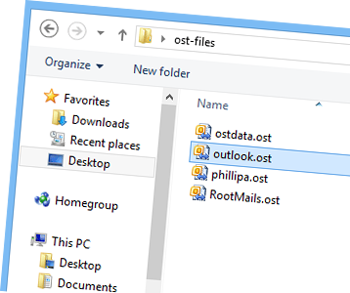 Export all emails from corrupted OST file into Office 365 account including their properties. This software works successfully without MS Exchange Server environments. 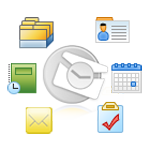 Software supports all Outlook version including Outlook 2019. Repairs highly encrypted or orphan offline Exchange OST file with advance scanning mode. Mail filter option inbuilt in this software therefore user can export OST to PST file according specific date range. 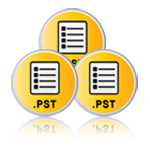 Split resultant oversized PST file into smaller one. 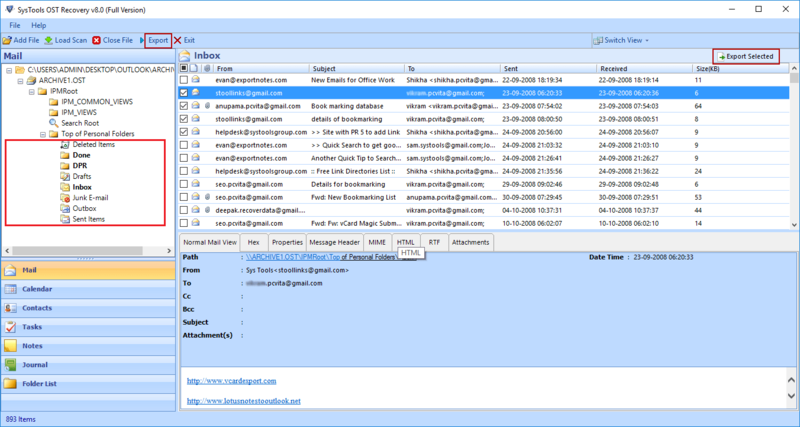 Software simply export OST emails into HTML file with attachments. The software deeply scans the corrupt OST files with high level of technique such as quick and advance scanning option. Quick scanning is for minimum corruption of OST file and Advance scanning for highly corrupted items with each of the emails and their properties. Now Quick scanning mode has scanned the OST file by default. 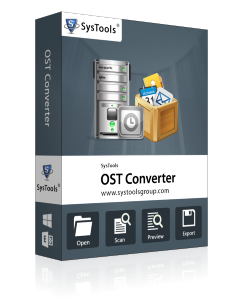 The tool is available for giving the free trial to scan OST file. It is an advance technique to process the corrupted or unreadable Offline Storage (.ost) file and completely recover emails from encrypted or orphaned Exchange OST file including with Contacts, Calendars, Notes, Tasks, Journals & more information of OST files. 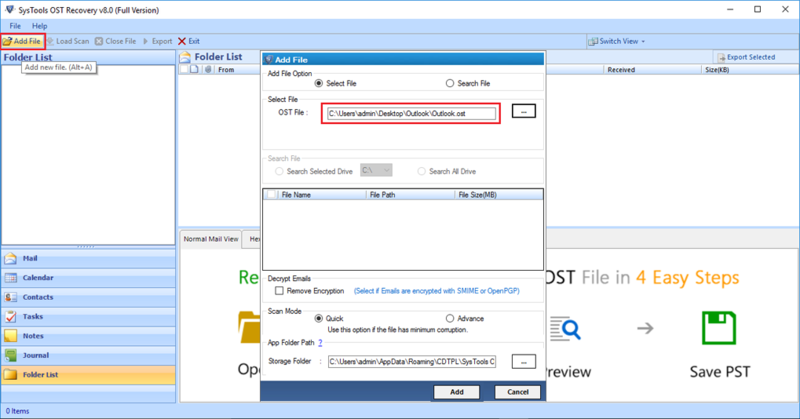 An Offline Storage Table (.ost) file is enable to open with Outlook mailbox but on the offline Exchange Server OST file is only one resource for email client, which recover the important emails from that OST file by OST to PST Converter software that converts OST into multiple file formats. This software has magnificent capability to quickly convert an offline OST file to Outlook PST format and split resultant PST file into smaller once as well as save at the safe location of the local system, if PST file is oversized or exceeded from 2GB. 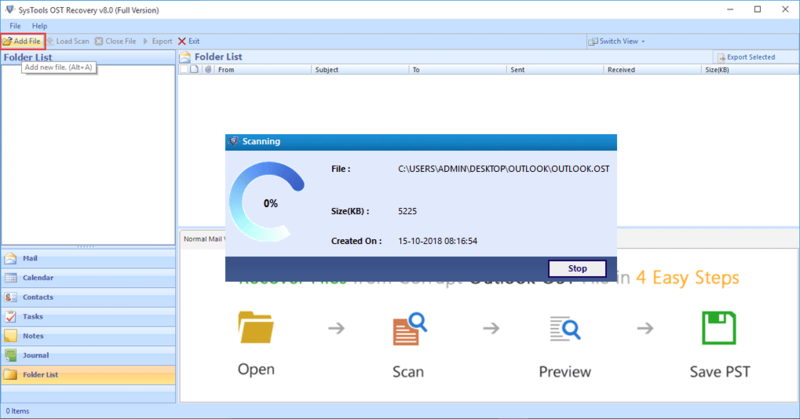 Convert .ost file to .pst when user's account on Exchange Server is deleted accidently, Exchange Server gets corrupt, or user's Outlook profile gets damaged. Successfully supports entire editions of MS Exchange Server, MS Outlook and runs with all versions of Windows Platforms including Win 10. 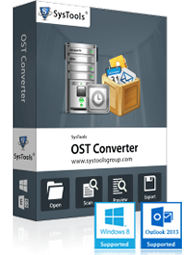 Step by step guide to use OST file converter free edition to swiftly examine orphaned offline storage (.ost) file and repair them to view normally as PST file after that save it at safe location. 1st Step, add the source OST file by clicking the “Add File” browse to select OST file. 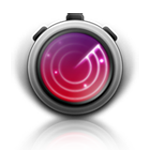 2nd Step, scan the selected OST file by clicking the “Advance Scan” button. After scanning and recovery process successfully previews the all emails with their attachments. In the final steps, you can export selected OST file into PST, HTML, MSG, EML, Office 365 and save them click on “Export” button. Can I view or recover deleted Outlook emails using this software? Yes. 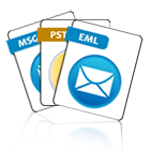 Software is capable to recover deleted emails as well with the advance scan mode. Will this software run with Windows 10, Windows 8 and 8.1? Yes. Software is compatible to all teh versions of Windows including Windows 10, Windows 8 & 8.1. Can I open ost file into office 365 account? Yes. You can simply open ost file into office 365 account without facing any issue. Can I fix corrupted Offline Exchange OST file? Can I export ost emails into HTML file? Yes. 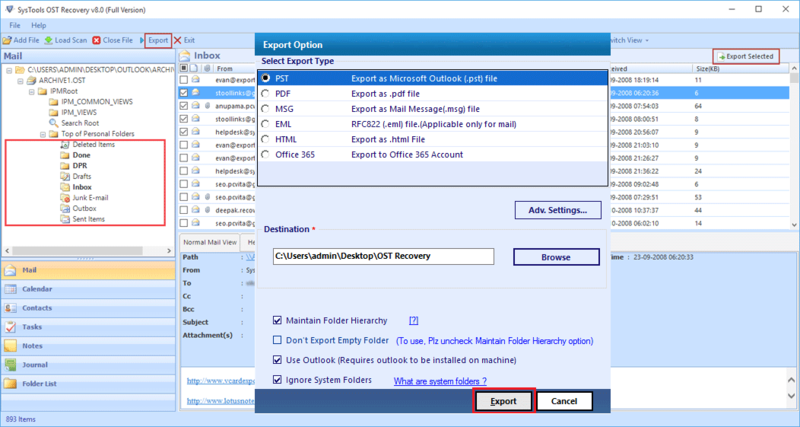 You can export and save ost emails into html file format as per need. Can I resolve synchronization issue from OST file? Does this software work without Exchange Server environments? Yes. Software does not need MS Exchange environment and can be executed without server installation.